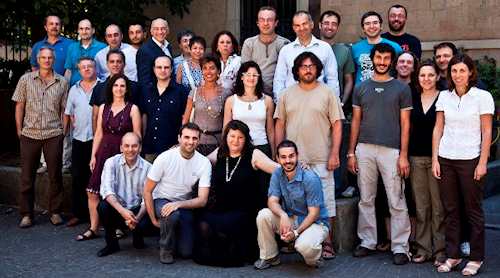 The Department of Computer Science was founded on January 1, 1992 under the initiative of a group of professors from the Department of Mathematics "Guido Castelnuovo" with backgrounds from a variety of fields such as physics, engineering, and mathematics. Building on the scientific and mathematical backgrounds of the founders, the department became the first center in greater Rome dedicated to the study of theoretical and applied computer science. Today the Department of Computer Science is a reference point for well-prepared students to jump into the evolving field of Information and Communications Technology. The department is internationally recognized as a center of excellence in many of the most important current areas of research in Computer Science. The primary office for the department is located in Via Salaria 113. Classes and lab sections are additionally held on the main Sapienza campus as well as the computer labs in Via Tiburtina. The department homepage includes all necessary information concerning the research and teaching activities of the members of the department.